Entries are welcomed from the legal, academic, investment advisory or technology advisory sectors. 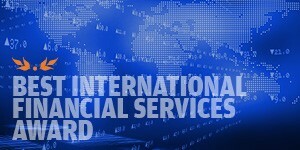 The winner will be an advisor or consultancy that has shown a strong commitment to the European funds industry. In the twelve-month period the advisor will have contributed significantly and demonstrably to the successful performance of its clients. The entry may include one or more outline case-studies where significant value has been added; an indicative list of contributions to industry-wide thinking or research; and examples of innovatory practice.